At CloudShare we know that once you experience it and use it, you will fall in love with ProPlus. That’s why we designed the first ever CloudShare SharePoint Experts Hackathon in coordination with the LinkedIn SharePoint Experts group! We sought to engage users through a competition that included ProPlus and SharePoint. We knew it would be fun but we never anticipated just how rewarding the hackathon would be for participants. This posts announces the WINNERS, explains the challenge, the scoring, the player stats, and more! First, I want to share some of the fun stories that came out of the challenge! One person did the entire challenge from his iPad. I thought that was super cool. 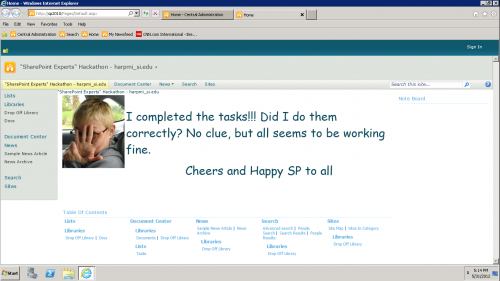 Another participant used a PowerShell script to solve every SharePoint task. Someone else reported that they will continue to use the hackathon permalink for internal training because it helped to make learning PowerShell and SharePoint admin fun. Pretty cool, right? 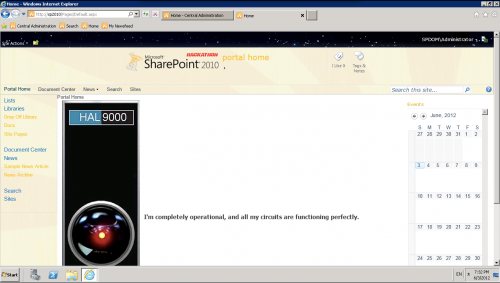 The SharePoint Experts Hackathon involved CloudShare ProPlus and SharePoint. We gave members of the SharePoint Experts LinkedIn group a broken SharePoint farm. We asked them to fix the farm entirely and then submit a snapshot to us. Everyone with completed submissions was entered into a drawing for an XBox and an annual subscription to ProPlus! 328 people entered, 87 submitted, and 75 completed the challenge. There was both an automated and a manual process for checking the submitted farms. We used a PowerShell script to check most tasks, with the exception of “do something cool” and the tasks involving ProPlus. 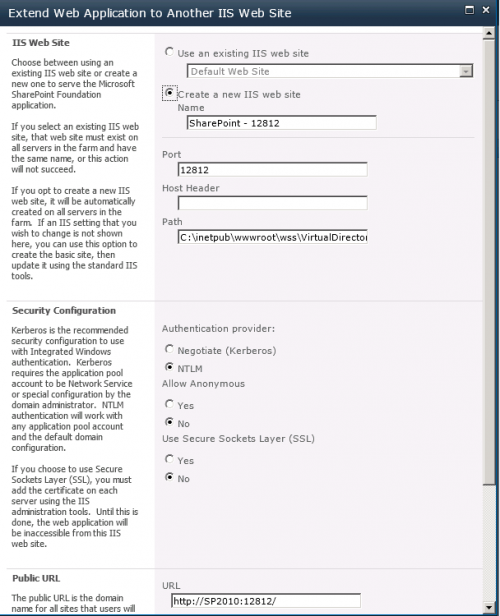 Restore the Root Site Collection in Port 80 Web Application from PowerShell. Do you see this? Then you did it correctly. The first task was accomplished by using PowerShell and the command below. I made this one a little annoying because the PowerShell pinned to the task bar was the Windows PowerShell terminal. 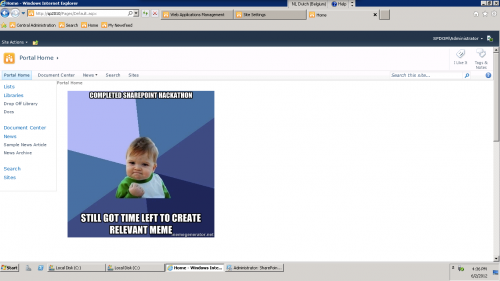 So, in order to use it you first had to load the SharePoint Snap-In. But the easiest thing to do was to find the SharePoint 2010 Management Shell in the start menu and use that. Deploy the Taxonomy .CSV file to managed meta-data term store and apply as a key filter in the “Docs” Library in this site. The result should be a library with visible term-store and at least one tagged document. The view should show applied term. Once that was completed, the next step was to deploy the Farm level solution via Central Administration or PowerShell. Then, the featured had to be enabled at the root site. 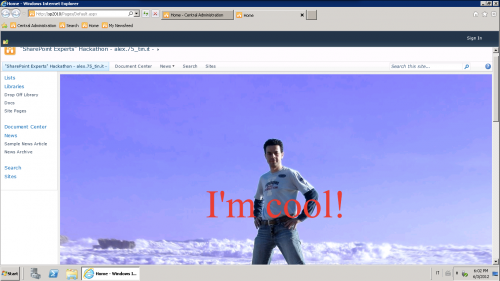 The part that was most fun for me to review was, “do something cool.” We received some great home pages! The following are my personal favorites and a slide show of entries where people chose to get creative. The final steps tested your CloudShare knowhow. Participants had to rename their environment description, take a snapshot, and assign a copy to me! That is when I ran a script to check to make sure people completed all of the steps and to view the “do something cool” submissions. I also was curious as to how long it took people to complete. This didn’t impact entry into the drawing, I just wanted to know! In case you’re also curious, the average time for completion was 243 minutes and the shortest was 45 minutes. The longest 825 minutes! We had a blast with this hackathon and I can’t wait for the next one. Next time, we will increase the level of difficulty and turn up the creativity! Thank you to all who participated. We hope you enjoyed the challenge and we look forward to doing it again soon!